It's high time we all accepted Chris Pratt as our lord and savior. Because this adorable teddy bear of a human has proven that once again, he's way too good for us and the terrible world that we inhabit. You see, on Sunday, a video emerged on Instagram of Pratt singing Fifth Harmony's "Worth It" while making a small inanimate plastic pony dance along. I swear to you, I'm not lying. I couldn't be. Who even makes something like that up? Anyway, the very real video is every bit as good as you're imagining it to be, but it is far from the most ridiculous thing the actor has ever done. In fact, this video is right on target with the rest of Pratt's outward displays of social media cuteness. Not that most things he does aren't adorable because, I mean, come on, have you been paying attention to the quirky gentle giant over the years or not? It's just that it's hard to bottle up what exactly Pratt's essence is. 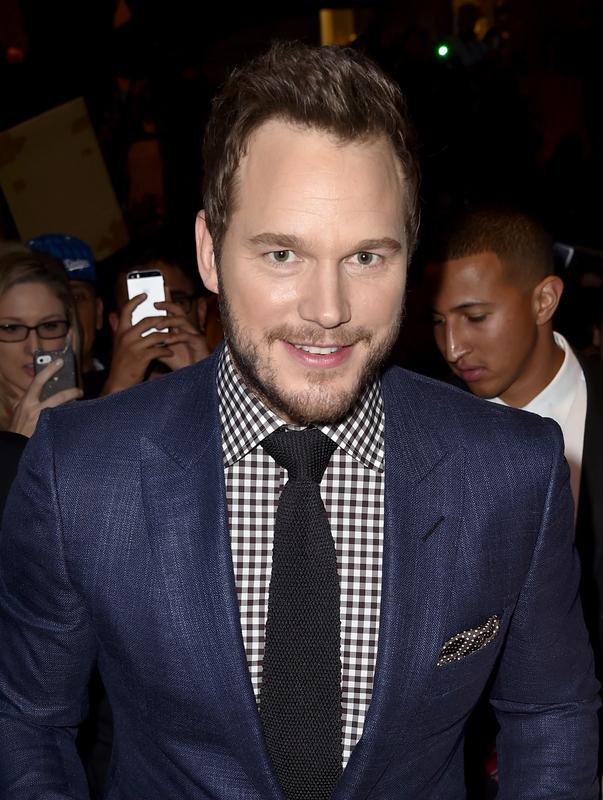 His vibe is that of an unabashed, rugged manchild with a heart of gold, otherwise known as "Chris Pratt-ish." The dictionary will have it in no time. I know that did not disappoint. I'd like to think all these windup toys he has are actually his son's, but I actually don't think that's true. Which makes all of this so much better. One day, when the world feels particularly grim, think of Pratt singing along to "I Wanna Dance With Somebody" into a hairbrush in front of his mirror. He's like Snow White if she were hairier, about a foot taller, and had approximately 100 more pounds of muscle weight. All these action movie deals he's been getting are making a lot of sense right now. Because he's made of sugar and spice and everything nice. I should know, I looked up his medical records. Come on, dude. We're all just trying to live here. Let the records show that I, a lifelong long-haired person, cannot do this. Not even a little. Look at his little embarrassed face! He's so humble! (But for real, though— God bless his brother. Thank you, sir). Honestly, I totally see it. I want to make a heartfelt apology for whatever it is I end up accidentally saying during the forthcoming ‪#‎JurassicWorld‬ press tour. I hope you understand it was never my intention to offend anyone and I am truly sorry. I swear. I'm the nicest guy in the world. And I fully regret what I (accidentally will have) said in (the upcoming foreign and domestic) interview(s). Which, by the way, also insists that Pratt is "too good for this world." I guess that means it must be true. Oh, Chris Pratt. Never, ever stop being you.